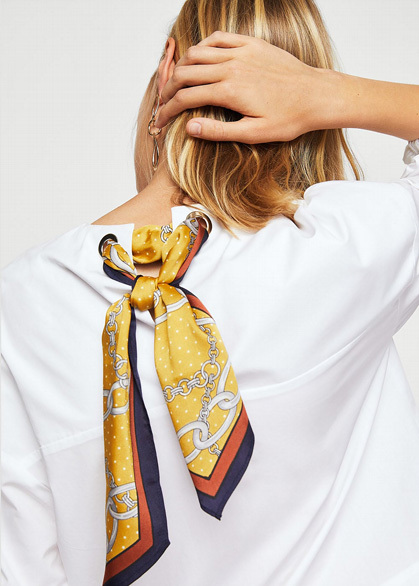 Mango's take on this season's puff sleeve blouse is extra stylish with its back scarf-tie. I'd wear it with everything from denim cut-offs to work-sharp trousers. A bit short...what do you think?